This property sold for $349,000 about 1 year ago. Very Sturdy home in Beautiful Shenandoah Community.3Bedrooms/2bath with a pool in a landscaped backyard. Kitchen has an eat-in area. Home is completely fenced for privacy. Interior completely painted. A/C works great and is a little oversized in tonnage. All appliance stay in the home. Low maintainance fees. 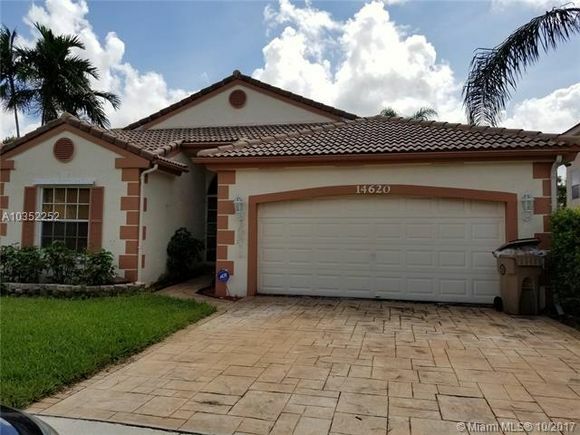 Close to Sawgrass Mall and I75.Great school area. INVESTORS FRIENDLY! Take Sunrise Blvd to 136 Ave., go south to Shenandoah Parkway. Make a right and go all the way to Rockhill Ave. Make a right and go to the end of Rockhill and turn left. House is on the left.